Automotive interiors are in a constant state of evolution. Materials and methods that were once staples of the industry have become relics due to new technologies and fashion trends. What was once cool in 1970, is not so hot today. When Chevrolet remodeled the Impala in 2014, it did away with the last production front bench seat. Sure, it’s still available in trucks as a 40/20/40 split, but the option no longer exists for American cars. There are a lot of theories as to why the front bench seat died, but what it really boils down to is safety concerns and consumer preferences; people just don’t want them anymore. But don’t count the front bench seat out for good. With the auto industry on the cusp of a self-driving car revolution, it’s possible that desires for a wider sofa-like seat and an added passenger will bring it back. There was a time when vinyl tops were all the rage. Their popularity kept auto upholstery shops filled with steady business. In fact, some veteran trimmers say they used to replace 5 to 10 vinyl tops a week. These days, shops are lucky to see that many a year. 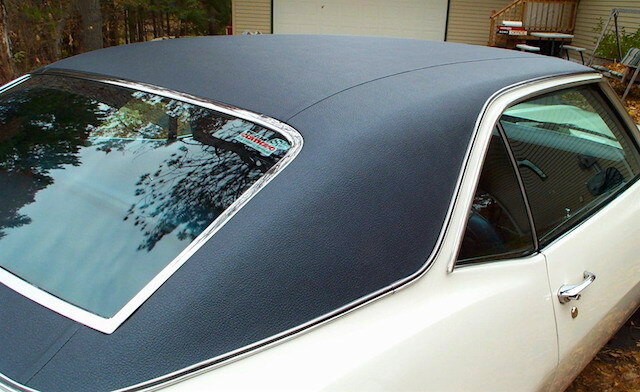 At some point in the 1990s car owners began to lose interest in covering their roofs in vinyl. By the 2000s, the once-popular feature was virtually nonexistent. Maybe people grew tired of the look or perhaps horror stories of rust beneath the vinyl scared them off. Who knows? The good news is there are some folks trying to bring back the vinyl top. In 2013, we published an article about trimmers installing vinyl tops on the new Dodge Challenger. And you know what? It looks pretty freaking cool! 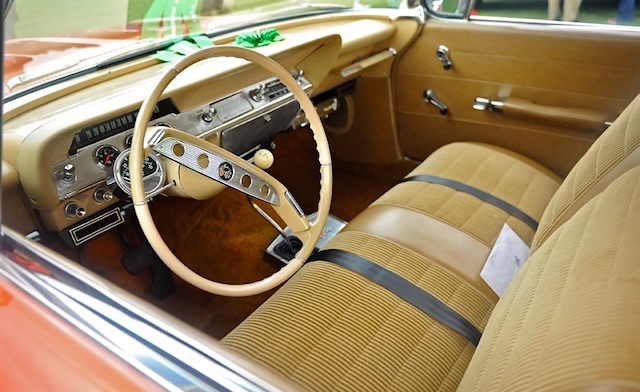 When was the last time you saw a brand new car interior that wasn’t black, grey or beige? Back in the day, automakers were daring enough to make them red, blue, green and even gold. So why have automakers become so boring? Basically, they’re playing it safe. By choosing a handful of neutral colors, they’re able to appeal to a much larger audience. 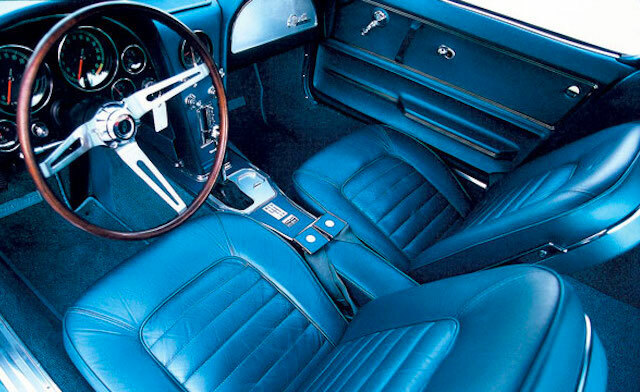 Think about it: Some folks would avoid a bright blue car interior at all costs. But “medium flint,” whatever, it’s bland but it works. Fortunately, things might soon change. With automakers finally starting to pay closer attention to car comfort, quality and design, it’s only a matter of time before they reintroduce off-beat colors. 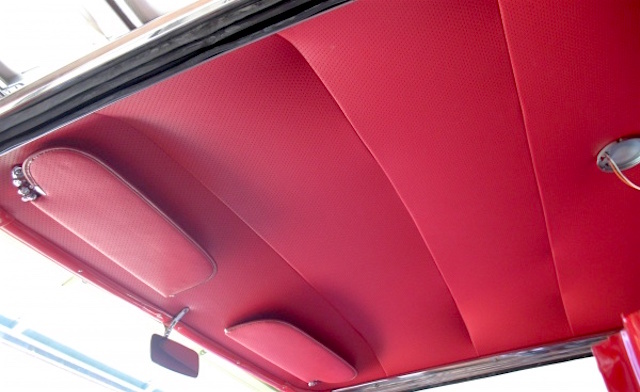 Up until the mid 1970’s, headliners were a series of sewn panels attached to a vehicle’s roof by metal rods, or “bows,” that passed through listings attached to the fabric’s seams. The headliners looked gorgeous, but were troublesome to replace. Fed up with the time and cost it took to fabricate suspended headliners, automakers eventually switched to what we have today: fabric covered boards. Personally, I love the way suspended headliners look. But I’m not holding my breath for a comeback. Today’s headliners are able to accommodate AC vents, overhead consoles, televisions, sunroofs, speakers and more. None of which could work in an old school roof. Say “buh-bye” to vinyl canvas convertible tops. Last year we spoke to Matt Williams, director of business development for Haartz Corporation, the world’s leading manufacturer of convertible top fabric, about the recent shift from vinyl to cloth topping and what it means for the future of vinyl canvas. 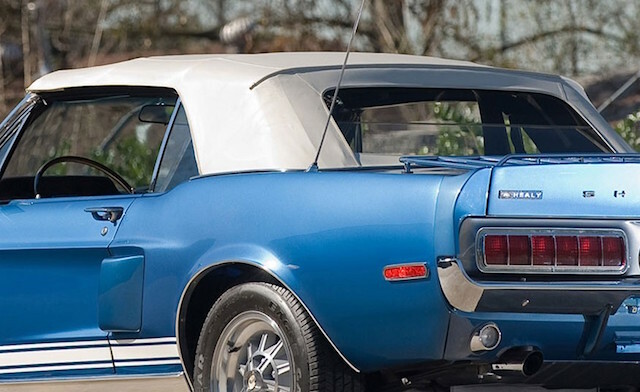 With attributes like that, why would anyone want vinyl drop tops to come back? We sure don’t. Interested to know what other trends made our list? Check out part two of our series tomorrow! Retired…Let’s leave the past in the past. But, have you seen what these old prime cars are selling for at auctions??? Mustangs are being rebuilt new in Florida.